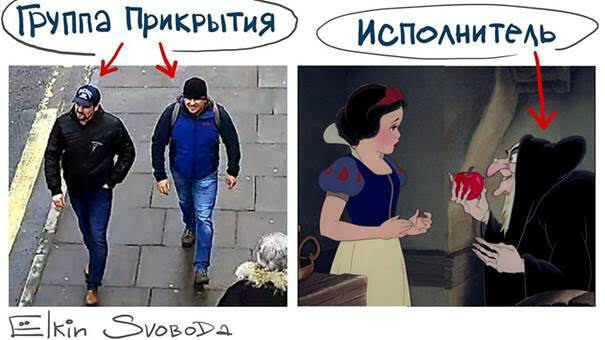 Not only international commentators reacted with bewilderment and even some degree of amusement when RT (Russia Today) aired its interview with the two Russians the UK suspects to be GRU operatives and guilty of the nerve agent attack in Salisbury. Russian audiences themselves were, perhaps better than most others, able to see through the fog of falsehood in RT’s interview, which did raise more questions than it provided answers. 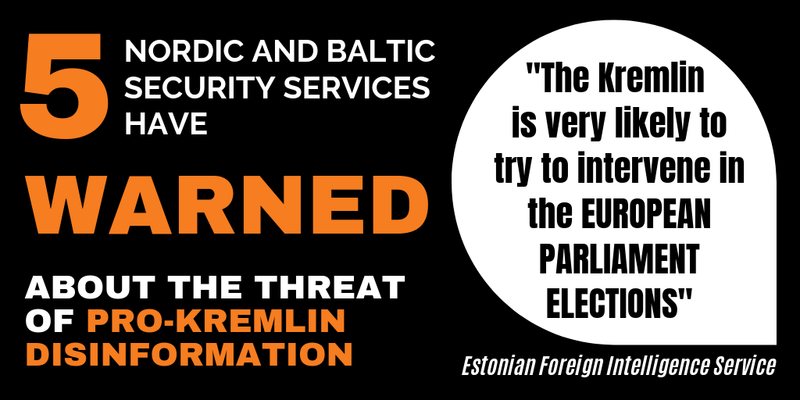 Many Russians do not trust the government on this issue and believe that Russia was behind the attack, as we reported in last week’s issue of the Disinformation Review. Social media users instantly began to share memes mocking the bizarre broadcast. Below we have collected and translated a few of the Russian examples. 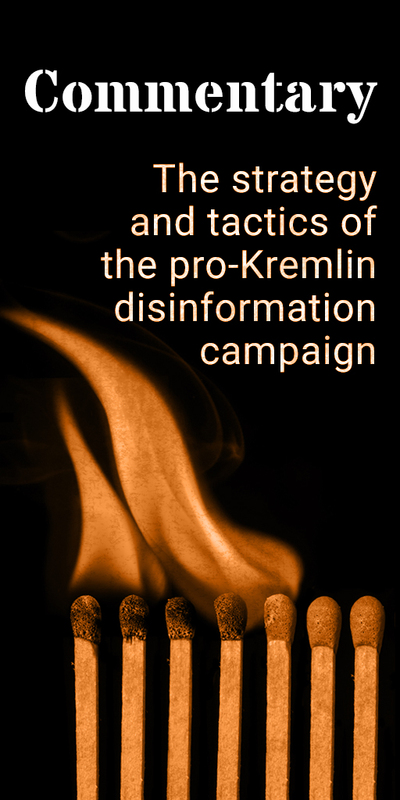 The Kremlin’s damage control strategy most likely calculated with the mockery which this latest development in the fundamentally tragic case would provoke. Reducing the whole affair to a joke might even have been the central aim as a way of distracting audiences’ attention from the seriousness of the crime that has been committed. 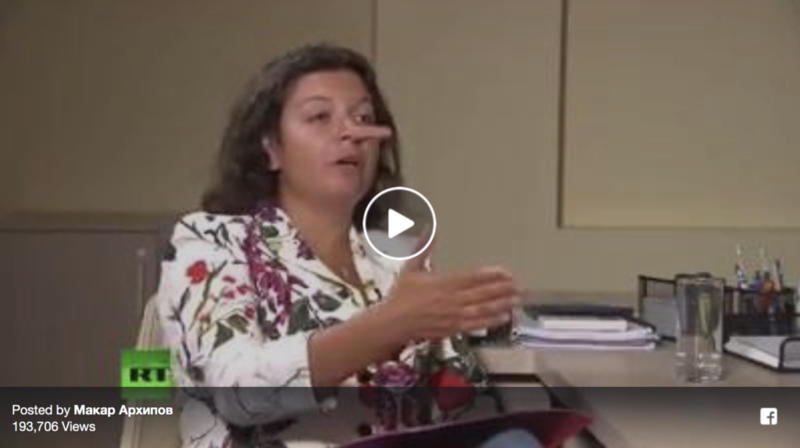 Nevertheless, the interview is an example of why RT cannot be considered a public service or even a government-owned national TV channel in the way this is practised elsewhere. It confirms RT’s role as that of a straightforward propaganda outlet, which willingly takes the lead in disseminating disinformation when this is requested by the Russian authorities. 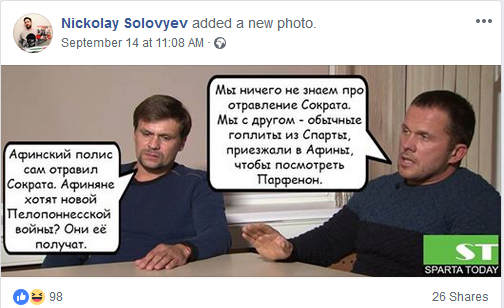 Widely popular Russian cartoonist Sergey Elkin commented with this image on REF/RL Russian Service showing “the backup team” on the left and “the perpetrator” on the right.